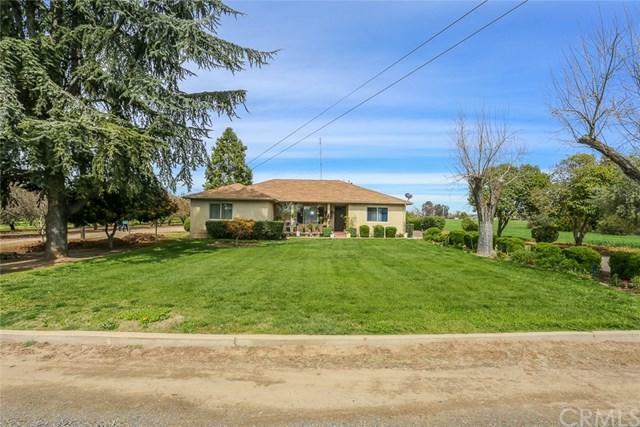 Really clean ranch style home on approximately 13 acres. Some upgrades in last few years. Separate detached 2 car garage with some extras (could be a small studio or a craft area). Also has a 27 x 36 shop. Almonds are Carmel and Nonpareil. Trees on AG Well.. Well is 285 feet deep with a 15 horse electric pump. There are 2 APN numbers. Sale is for both APN numbers. Sold by Steve Mauzy of Century 21 Salvadori Realty.